WASHINGTON, D.C. – Today, Congresswoman Cheri Bustos (IL-17) continued her push to ensure the federal government purchases only U.S. flags made from 100 percent American-made materials by introducing the bipartisan All-American Flag Act. Bustos’ efforts to promote American-made flags are in response to concerns she continues to hear from local veterans. 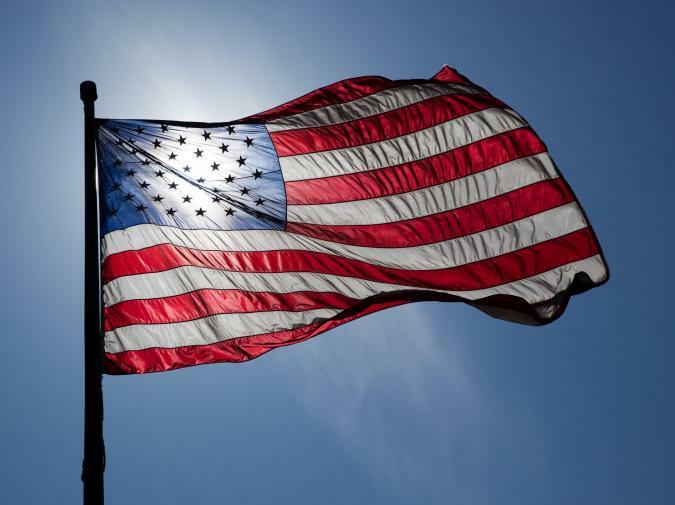 The All-American Flag Act would require the federal government purchase flags that contain 100 percent American-made materials entirely manufactured in the U.S. Current law requires the federal government to purchase flags made of only 50 percent American-made materials. According to the U.S. Department of Commerce and U.S. Census Data, in 2013 the dollar value of U.S. imports of American flags was $4 million. Of that amount, $3.9 million of imported flags came from China. In 2013, Bustos started her fight for American-made flags by introducing amendments – both of which passed the House with bipartisan support – to the FY 2014 Homeland Security Appropriations Act and the FY 2014 Defense Appropriations Act that mandated that American flags purchased by the federal government using funds from these bills be made in America. In 2014, a similar provision was included in the FY 2015 Defense Department Appropriations Act. Full text of the All-American Flag Act can be found HERE and video of Bustos speaking about the need to buy American flags made in America can be found HERE.